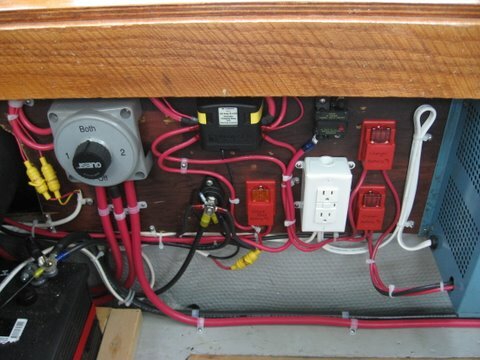 The wiring for the old Perkins was pretty basic including the charger, starting and house batteries. We took this opportunity to improve a few things. One thing I was surprised at were the requirements for the starting voltages for the Cummins and how it can't drop very much during cranking. 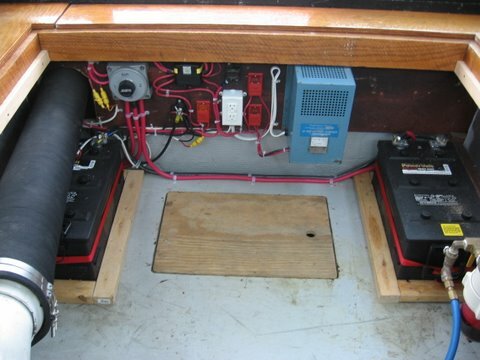 Here are the two 8D batteries we installed, the selector switch, isolator, independent fuses, and new wiring cable for the starter. 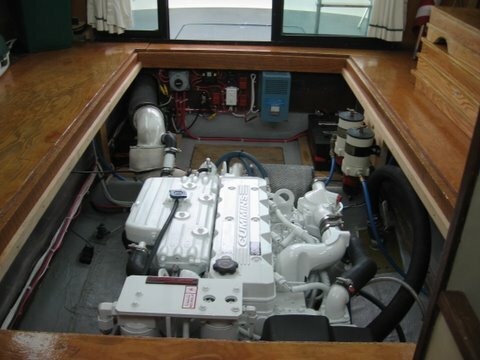 One thing thats a little bit awkward is I have to lift an engine hatch to get the selector switch, but not a real big deal. I will say the upgrade to the 8D's was great compared to what we had.